David Alston, a 3-star outside linebacker/defensive end from St. Paul, verbally committed to Nebraska on Friday ahead of the big showdown with Wisconsin. Here are five thoughts on the Huskers’ latest addition to the 2018 class. 1. It’s nice to steal a player from conference foes. Alston is the No. 1 rated player in the state of Minnesota, yet doesn’t have an offer from the home-state Gophers. It could be scheme, fit driven but it’s typically a bad look to lose the best player in your state, especially for a first-year head coach such as PJ Fleck. Also, Alston held an offer from Wisconsin and Nebraska’s move to the 3-4 will likely result in more battles with Wisconsin for defenders. Score one for the Big Red. 2. The 500-mile radius continues to prove fruitful. Nebraska continues to do well with prospects nearby despite the perception that they only recruit California. Seven of the eleven 2018 commits are from within 500 miles of campus as well as 2019 commit Garrett Nelson. Kudos to the staff for working these areas hard. 3. Full steam ahead on Micah Parsons. Nebraska was obviously recruiting Micah Parsons extremely hard already, but landing Alston allows them to pursue Parsons without worry that they could come up empty at the CAT linebacker position. Landing Parsons as your immediate impact player while Alston continues to develop would be huge. 4. A big need for 2018 has been filled. 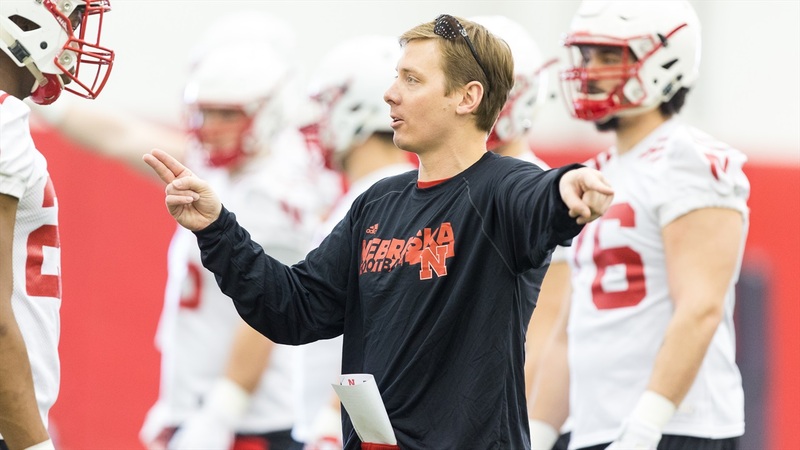 Nebraska has a glaring hole on the roster currently as they transition to the 3-4 defense under defensive coordinator Bob Diaco. The Huskers are missing that versatile, pass-rushing outside linebacker that you tend to see in this defense. Alston has a ton of upside in that role. 5. Could this ignite an even bigger weekend for Nebraska? Without question, the stakes are high this weekend. Nebraska had been in a long commitment drought with the last one being Cameron Brown almost two months ago. Now they have an opportunity to continue momentum on the recruiting trail and change the trajectory of the program under head coach Mike Riley.